Millennial males are the laser-focus target market for this laid-back brand. Where some beers are all about the party, Pacifico wants drinkers to think a little deeper. The Mexican brand, founded in 1900 and a favorite among California beach bums since the 1970s, is using its big-splash national debut to tell contemplative stories about living an adventurous life, inspired by the anchor floating out of water on its distinctive yellow labels. In this campaign, there are no grills firing up or white-sand ragers—more like beachside hikes and last-minute getaways with a few close friends. "The beer has always been a part of surf culture and an independent, individual vibe," says Bill Dow, VP, group creative director at Cramer-Krasselt, the agency of record for Pacifico’s parent company Constellation. "So, our idea was to simply speak the language of independent spirits out there who share the Pacifico mindset." His firm has worked with Pacifico since 2015, but until now, creative was limited to social. Still, that modest strategy grew sales 19 percent last year, totaling 9.2 million cases. There has also been significant organic growth in cities like Chicago, Denver and Brooklyn, which influenced the decision to give the beer a bigger push. Constellation hopes that "Anchors Up" will make it the top import beer in the U.S. within the next three years. There is certainly an opportunity—some competitors, most notably Dos Equis, have been sliding recently. To land Pacifico on top, Dow’s team homed in on what makes Pacifico unique. For one, it’s from Baja, rather than the mainland, which hosts mega-brewery Cuauhtémoc Moctezuma, the maker of Tecate, Dos Equis and Sol, among others. As a golden lager, Pacifico also has a fuller flavor than the lighter style that most drinkers have come to expect from Mexican brews. But the biggest difference, says Dow, is the identity that Pacifico’s fans have given it over the years. "It's got a history with surfing and the West Coast, outdoor lifestyle, which separates its roots from other Mexican imports." Next, C-K dove deep into their target market: millennial males, 21-35, "who seek real-life experiences," Dow says. "They crave authenticity. They go out and do things according to their compass." With these intrepid guys as guideposts, creative was informed by ethnographies, and then tested both pre- and post-production with qualitative research. The result is two spots about men who undertake introspective adventures. They were developed through an intensive writing process that generated dozens of possible storylines—"You have to write them over and over until you start to get to the ones with some real truth in them," says Dow. Each has voiceover urging drinkers onward to the next attraction: "The world is full of anchors meant to keep you in place, but the good news is that it’s also full of things that remind you not to let them. 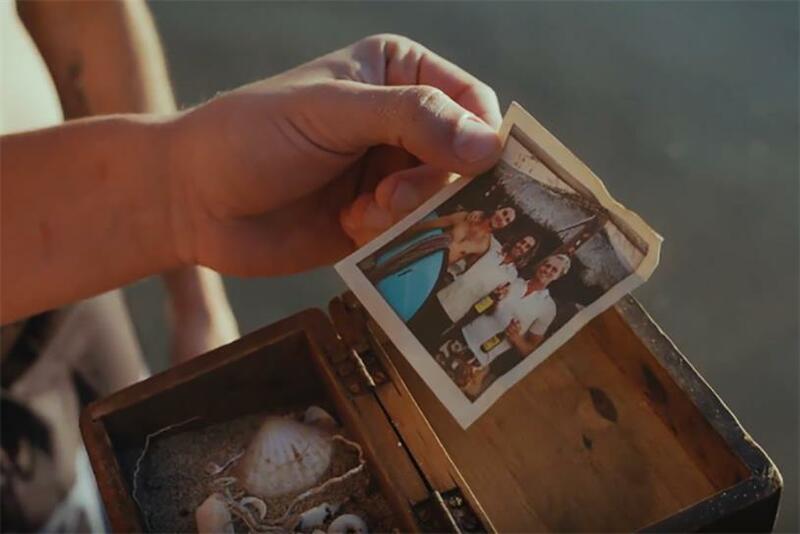 The spots are airing nationally now, and when spring and summer roll around, buys will increase threefold, not just on broad-reach networks like ESPN but ones that attract the sort of adventure-seekers Pacifico wants, like National Geographic, the Travel Channel and Outside TV. Joining video is a broad swath of OOH (including non-traditional executions like pedi cabs) in target markets including Denver, Boulder, LA and Seattle, as well as in-store, digital/social media and events. This year, Pacifico is sponsoring the summer X Games and will be doing executions at the Burton US Open of Snowboarding where, says Dow, "We’ll be inspiring people to pull up their anchors with our stories and calls-to-adventure."